When it comes to sweets, I tend to make desserts in waves. When I’m craving brownies, I’ll make brownies non-stop for months. My cupcake period lasted about 2 years. 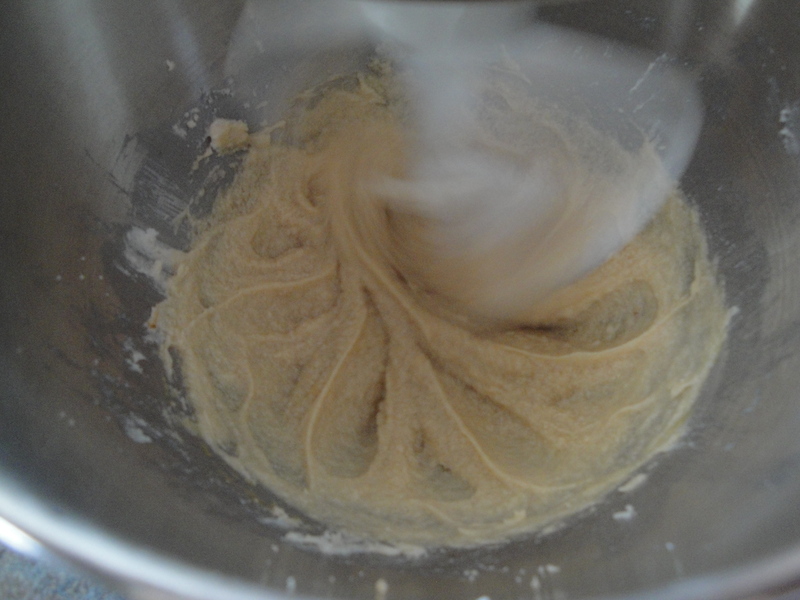 But I’m going back to my roots and I’m falling in love with making cookies all over again. 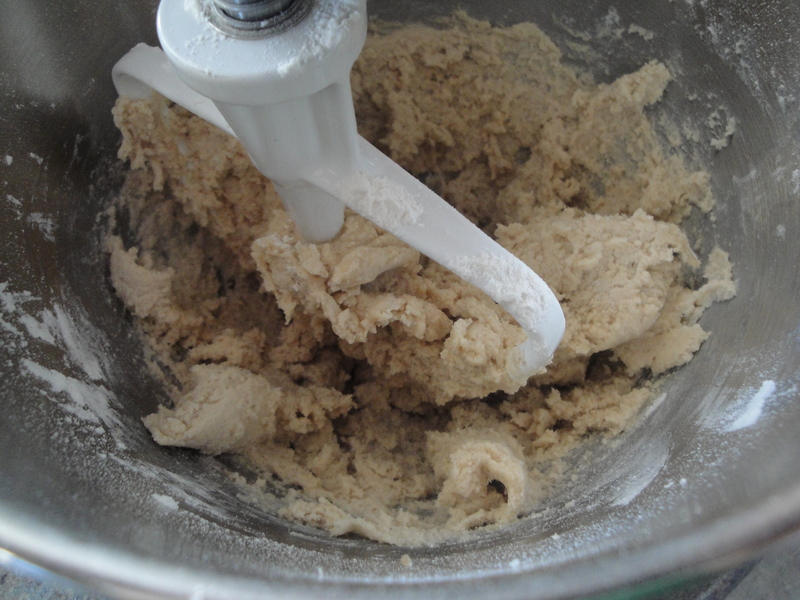 I don’t know what it is about cookies but watching the dough come together, dipping a finger or two into the dough to make sure it’s just right, and dropping the scoops onto the baking sheet and waiting, waiting, waiting impatiently for them to bake…it’s bliss for me. I bake cookies one sheet at a time so for a dough that makes a lot of cookies, this means I might be baking cookies all night. But that’s okay with me. I dare say I like a cookie-scented kitchen just as much (if not more) than a bread-scented kitchen. Although that’s a really tough call. 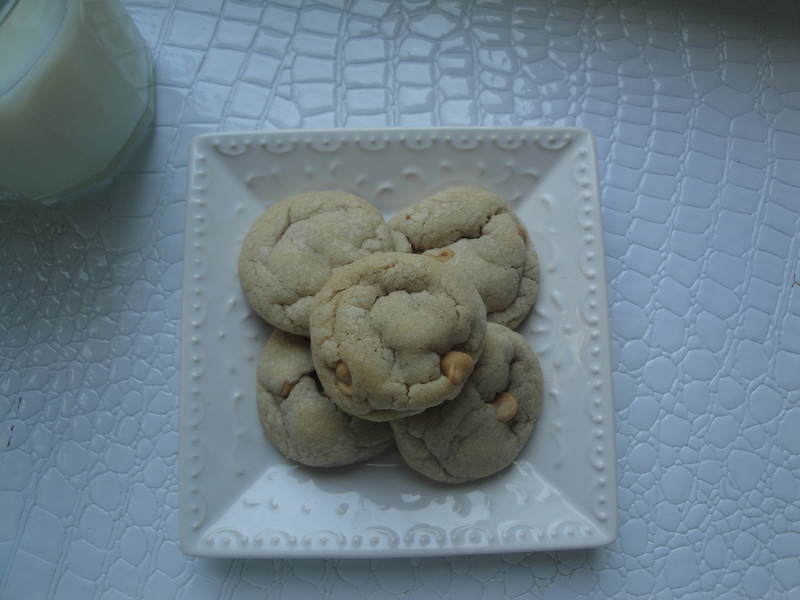 Anyway, I made some cookies a few weeks ago and they were such a hit at work that I decided to make another batch of cookies I found on Pinterest: Puffy Vanilla and Peanut Butter Chip Cookies. Vanilla and peanut butter? Yum and yum. I’m sold. These cookies are made with vegetable shortening (à la Crisco) instead of butter which helps to make these cookies puffy. 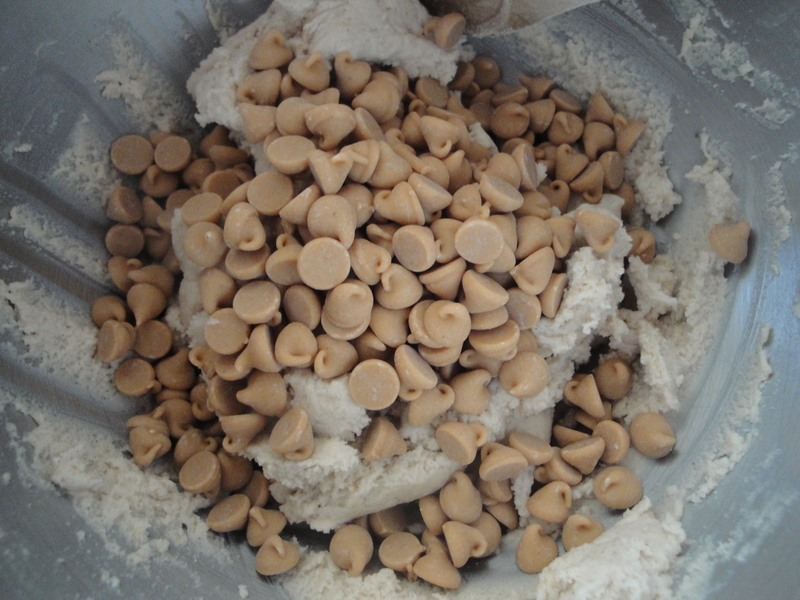 And a healthy 2 teaspoons of vanilla really keep the vanilla from getting lost behind the peanut butter chips. 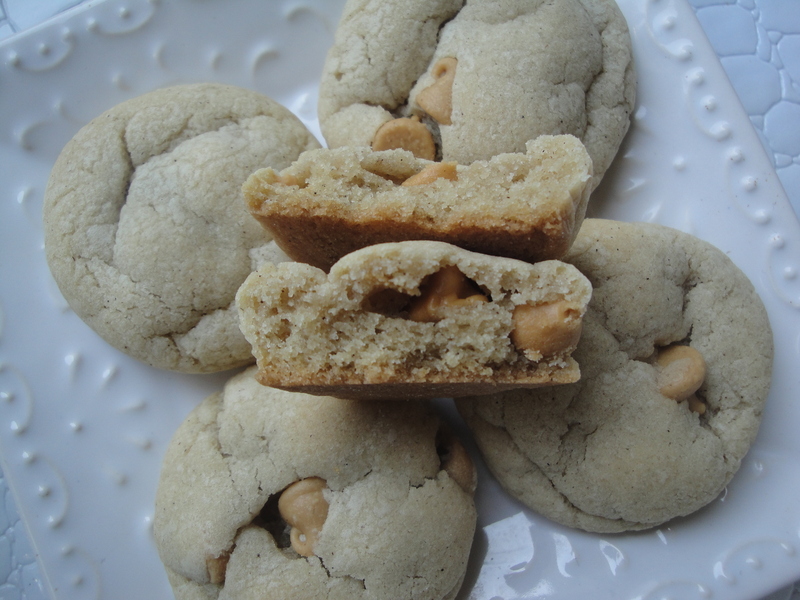 It’s rare that I don’t like a cookie, especially one with any kind of peanut butter, and this is no exception. Although, I’ve become pretty particular and I’ve decided I like good ol’ butter in my cookies. There is that flavor that butter has that just cannot be captured with vegetable shortening. These cookies are great and if you are willing to sacrifice a little bit of puff for a little bit of flavor, make these with butter. You won’t be disappointed. Of course this is coming from someone who could eat peanut butter chips by the spoonful. 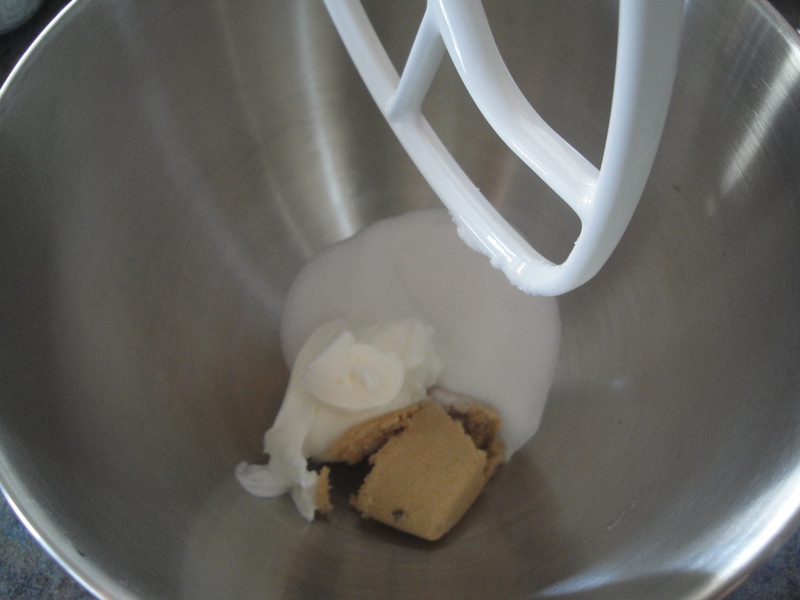 In a large mixing bowl, combine vegetable shortening, sugars, egg, water, and vanilla until batter is creamy. 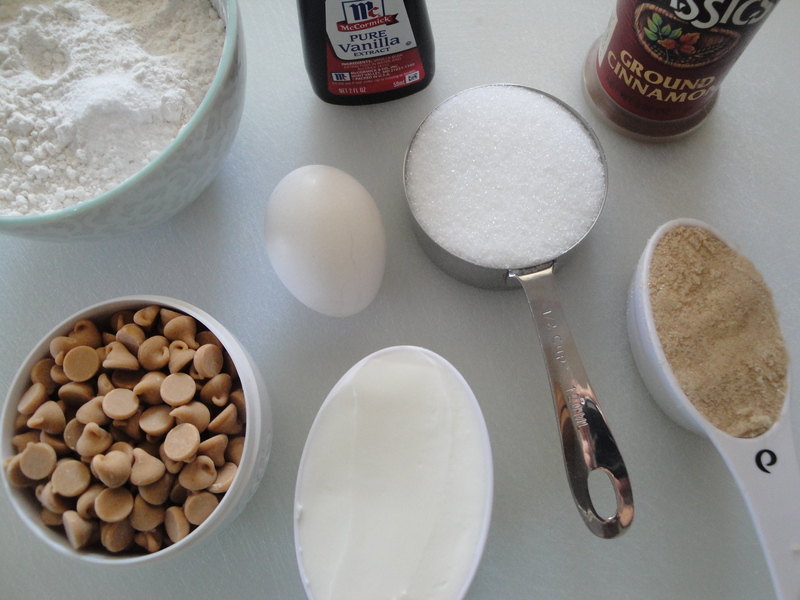 Add the cinnamon, salt, baking soda, flour and mix until just combined. Fold in peanut butter chips by hand. Cover and refrigerate dough for 30 minutes. 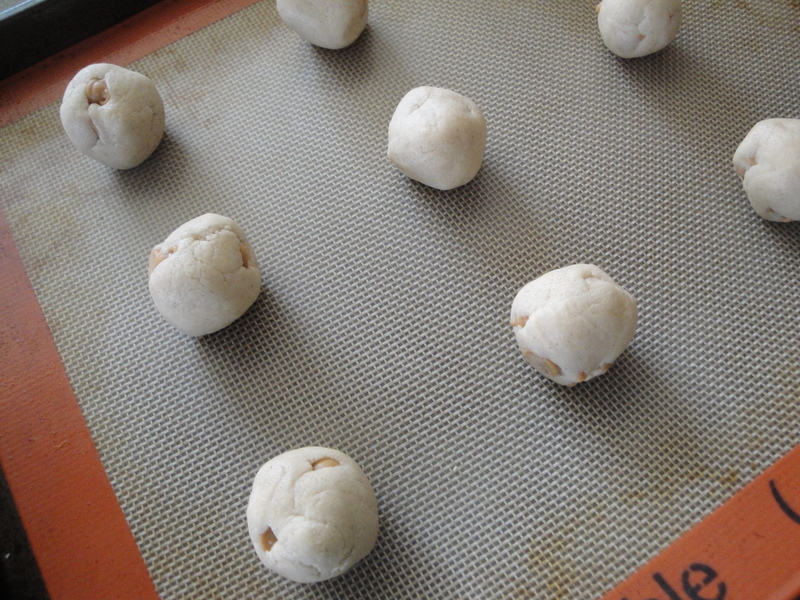 Roll dough into 1 inch balls and place on cookie sheets lined with silicone mats or parchment paper. Bake in a preheated 375ºF oven for 8-10 minutes. Those cookies looks so delicious. Totally loved it. Thanks .